Registered dietitian nutritionist Evelyn F. Crayton, professor emeritus at Auburn University, began her one-year term on June 1 as the president of the Academy of Nutrition and Dietetics, the world’s largest organization of food and nutrition professionals. Crayton, of Montgomery, Ala., and a native of Jones, La., is the 90th president of the Academy, which was founded in 1917 as the American Dietetic Association. She has been the Academy’s president-elect since June 2014 and will serve as president until May 31, 2016. Crayton is the first Black American to serve as the Academy’s president. A graduate of Grambling State University, Crayton earned a master’s degree from Saint Louis University and a doctorate from Auburn University. s. We aim to maximize the optimum health of the people in our community, state, nation and in the world. Another goal is to continue to increase ethnic diversity in our membership,” Crayton said. Crayton is a past president of the Alabama Dietetic Association; chair of the Academy’s Nutrition Education for the Public dietetic practice group; membership chair of the Hunger and Environmental Nutrition practice group; and a mentor for the Academy’s National Organization of Blacks in Dietetics and Nutrition member interest group. She has served as a consumer representative on the U.S. Food and Drug Administration’s Food Advisory Committee. At Auburn University, Crayton was a professor of nutrition, dietetics and hospitality management and assistant director of extension family and consumer sciences. 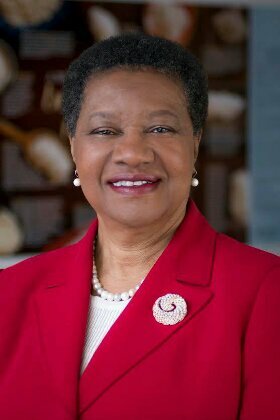 She collaborated, partnered or received funding from the National Cancer Institute; the March of Dimes; U.S. Department of Health and Human Services’ Office of Minority Health; International Society of Hypertension in Blacks; and the U.S. Department of Agriculture. She is a life member of Zeta Phi Beta sorority and a founder of the Gamma Xi chapter at Auburn University, where she served as a faculty advisor. Crayton has been a member of the Alabama Cooperative Extension Services Employees Organization; a founding member of the Auburn Black Caucus; and a past member of the Montgomery County Board of Education’s Bi-Racial Committee. Crayton has developed curricula, videos, slide presentations, leaflets and other teaching materials and is a national and international speaker. Crayton is the author of Food Preservation in Alabama (Alabama Cooperative Extension System 2012). The Academy of Nutrition and Dietetics is the world’s largest organization of food and nutrition professionals. The Academy is committed to improving the nation’s health and advancing the profession of dietetics through research, education and advocacy.